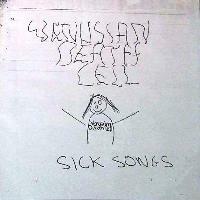 VENUSIAN DEATH CELL is back with another release of crazy Experimental music. VENUSIAN DEATH CELL is from Ireland and is a one man band that is David Vora. plays some very Experimental music that mixes elements of Punk, Metal, Indie and more. Song". This is definitely not for everyone, but give it a chance before you rule it out.